| No matter how sophisticated the technology, it still takes people. Welcome to AITP Alaska Chapter 150! A new IT association, completely re-imagined for the 21st century workforce. An indispensable resource for anyone looking to start, grow, and advance a career in technology in Alaska and nationwide. AITP is a society of IT professionals and a community of knowledge for the current and next generation of leaders. We have a wide variety of topics such as personal information, state laws, cloud computing, and technology on the campaign trail. Previous speakers include representatives from ACS, Dell, Microsoft, Apple, State of Alaska, University of Alaska, and many more. If you are interested in speaking or have a specific topic of interest, please let us know. Join the conversation Tuesday, March 19 in Anchorage, Alaska. Did you know 60% of your career progression is based on visibility, exposure and networking? Whether you are a conversationalist all-star, hardworking introvert or somewhere in between, this session will provide beneficial insights for all. Learn more! Network with tech leaders in your community. Discover how to put yourself on the radar for that next BIG opportunity. Make networking something you ‘actually’ look forward to and more! 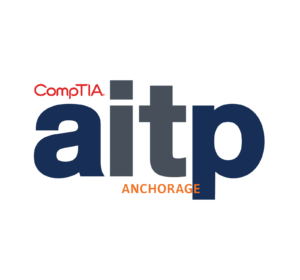 ‘Raising Your Visibility’ will be presented by Colleen Loeffler Phonwiang, director of CompTIA AITP and Justin Valentine, manager of member relations at CompTIA AITP. Don’t miss your chance to attend an event that can help take your career to the next level. Please be sure to RSVP. This is a special event, and registration is very important. Apple to Focus on Productivity With Next macOS, iOS Releases April 17, 2019 John P. Mello Jr.
EU's New Copyright Directive Could Break the Internet April 16, 2019 John P. Mello Jr.
Report: Apple Is Gearing Up to Debut Mini-LED Display Tech April 10, 2019 John P. Mello Jr.
Snapchat Refreshes App to Revive Prospects April 9, 2019 John P. Mello Jr.
No matter how sophisticated the technology, it still takes people.